Teosyal PureSense Redensity 2 is for treatment of under-eye circles with a subtle mix of non cross-linked and cross-linked hyaluronic acid. 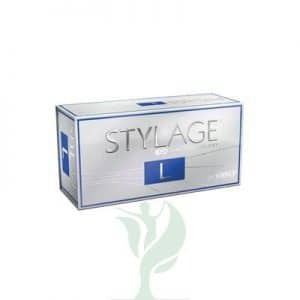 Its rheological profile is particularly adapted to the fragile and challenging under-eye circles area. 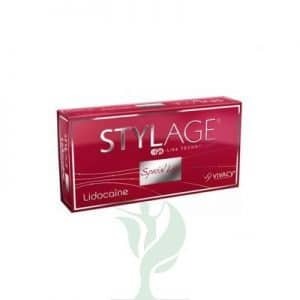 In addition, its low hydroscopic behavior and ideal viscoelasticity guarantee natural results and reduce the risk of swelling. Teosyal Redensity II PureSense is specially indicated for hollow eye-circles and tear trough. It cannot be used to treat sunken under-eye circles and malar bags. Redensity [I], which focuses on hydrating and replenishing skin and is formulated to promote a natural light reflection to promote younger more radiant skin on your face, neck and hands. Redensity [I]I, which is more of a filler and focuses on dark pigment located in the tear trough area (under the eye) of the eye.It targets “sad” or “tired” looking eyes which results in natural and long-lasting results. Teosyal® Redensity [II] is the first dermal filler formulated to treat the tear trough area (under eyes) of the eyes. 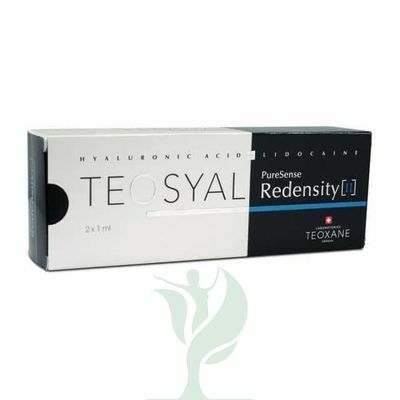 If you find yourself struggling to reduce black circles, fine lines and crepiness that forms under the eyes, Teosyal® Redensity II can help. Redensity II continues to work long after the injection treatment takes place by infusing the area with amino acids, antioxidants, minerals and vitamins for maximum long-term results.